CRC is a few minutes away from most of the most prominent and frequently visited locations on the south end of the Northwestern University campus. We're also a few polite and engrossing conversations away from much of downtown Evanston. CRC has an assigned dining space in the 1835 Hinman dining hall, right across the street from the building. Many residents and members choose to dine in the space for the social atmosphere and familiarity, and faculty and staff fellows also often have lunch at Hinman among members of CRC. On the weekends when Hinman's dining hall is closed, the next closest dining hall is Allison Hall, and it's just a few minutes away by walking. 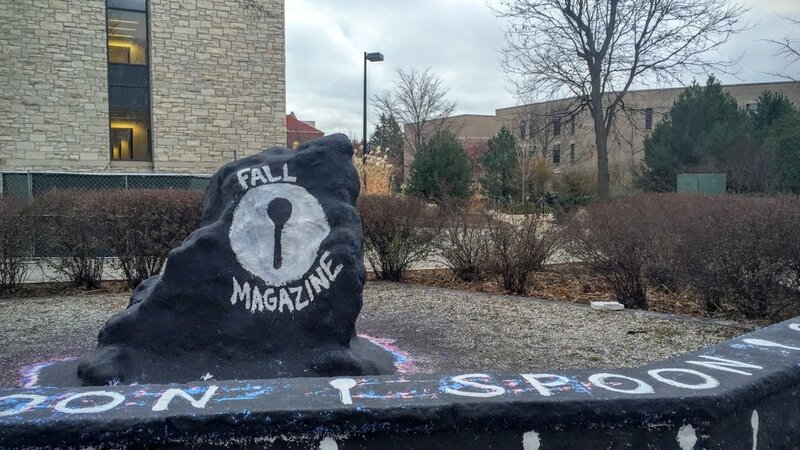 A notable location on campus for its historic role in student activism, the Rock used to be a water fountain that developed into a quartzite boulder. It's often painted over to raise awareness and promote events. Just a minute away from CRC, the Rock also a great landmark to meet up with other students on campus. Northwestern University's student center is not only a great place to get your coffee fix with a Starbucks and Dunkin' Donuts, but many of the tables and couches are a great place to plug in headphones and finish that reading. 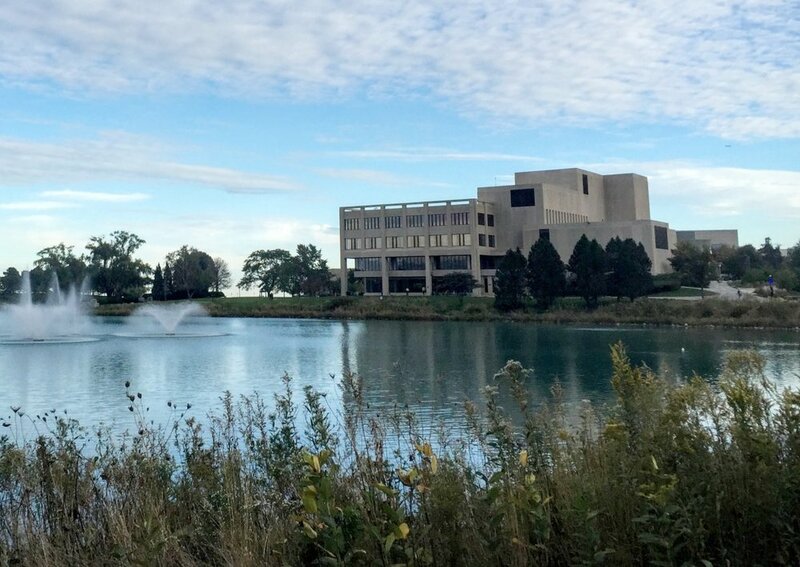 Northwestern University Library is located about four minutes away from CRC, and is a great spot for studying and revision before an organic chemistry final exam. Also, Deering Library could definitely be a set from the Harry Potter films. Built in 1899, Fisk Hall used to house Northwestern's preparatory school. Today, the building is the central administrative home for the Medill School of Journalism, Media, Integrated Marketing Communications and one of the key locations for journalism students at Northwestern University. The new Ryan Center for the Musical Arts is the home of the Bienen School of Music. The glass design and its lakeside location gives it an unrivaled view of Lake Michigan and the Chicago skyline.